Today’s episode is sponsored by Care/of, a monthly subscription vitamin service that delivers completely personalized vitamin and supplement packs right to your door. For an exclusive discount from our sponsor, tune into the episode! Today’s episode is also sponsored by University of California, Irvine’s Division of Continuing Education. Spring quarter is coming up and registration is open! Visit ce.uci.edu/podcast to learn more. How do we encourage our kids to work hard while keeping school achievement hype in perspective? How do we balance supporting our kids without micromanaging them? 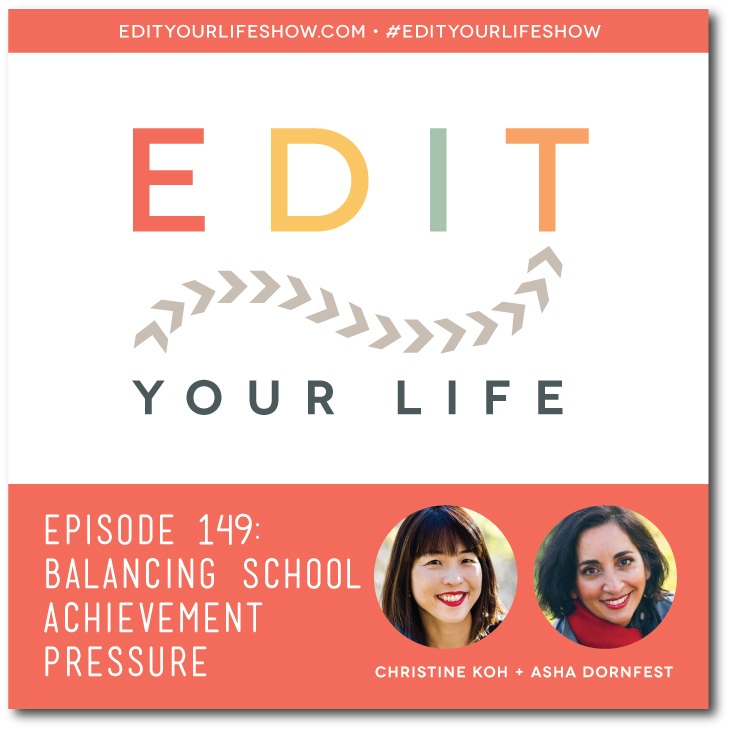 In Episode 149 of the Edit Your Life podcast, Christine and I share our evolving experiences as parents of high school- and college students, and give parents permission to pause, breathe, and remember that education is much bigger than school. What’s your family’s best coping strategy during stressful times? Join the discussion on the Edit Your Life Facebook page — look for the Question Of The Week post pinned to the top of the page.